Should Banks Modify Home Loans to Today’s Home Values? 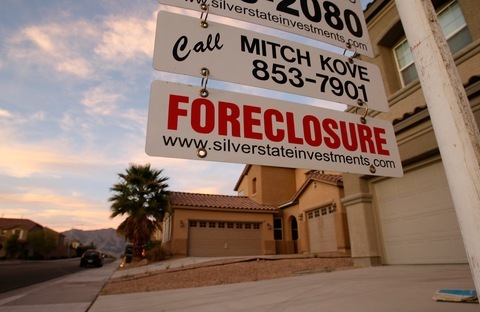 Question: The media estimate 5 to 8 million houses are currently underwater or at some point in the foreclosure process, and housing values have declined 25 percent. If 1 million homes were put on the market in 2010 and another 1.5 million are estimated for 2011, shouldn’t we expect another decline in value of approximately 25 percent? My calculations indicate that a $200,000 home is now worth $150,000 (minus 25 percent), and another drop of 25 percent would reduce the value of the same home to $112,500. If it takes five years to clear up 7.5 million underwater homes, the value of the original home will be $47,462. So wouldn’t it make more economic sense to require mortgage holders to renegotiate all mortgages issued since Jan. 1, 2007 to today’s values and reissue new mortgages, than face what is essentially a 75 percent drop in value at the end of five years? After all, the banks and Wall Street were bailed out by the public, they didn’t receive any loss of jobs or income, unlike the 25 million unemployed, and have just received record bonuses for the third year in a row. Surely a disconnect between the financial markets and ordinary citizens, and a moral hazard of staggering proportions. 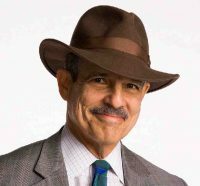 Paul Solman: First of all, a correction: even the most generous unemployment number adds up to roughly 20 million these days, not 25 million. It would include everyone who’s officially unemployed (not working at all, though they looked for work in the past four weeks) — about 14 million Americans — and another six million or so who say they want a job but haven’t looked in the past four weeks). And let’s face it: some of those people — maybe a lot of them — are working off the books and simply telling survey takers that they’re unemployed. See our monthly “U-7” posts for further detail: March, February and January. But that’s not your point. Your question: Why don’t banks and investors simply modify loans at today’s prices? Well, some do. More may. But because mortgages have been so widely dispersed via mortgage-backed securities, it’s hard to assemble the investors, hard even to find the documentation as to who has loaned how much to whom. More importantly, suppose housing prices don’t continue to go down but actually remain stable or even rise? Your analysis could be right. But it could be wrong, no? Say I’m a bank that’s servicing a loan. It’s a costly hassle for me to renegotiate with the homeowner. It may be impossible to renegotiate with the investors I’m collecting for. They might even sue me. The government pays me a pittance to do a loan mod. And if I’m holding the loan myself and am forced to write it down, that eats into my profits. And it encourages other homeowners to press for renegotiation, homeowners who might have been discouraged from doing so if I played hardball. So why not just wait?